Located in the Competitor Service Area next to the forum entrance in S1. 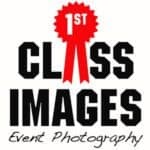 1st Class Images is the proud photography partner for Horse of the Year Show. During the show 1st Class Images will be situated in the competitor service area.